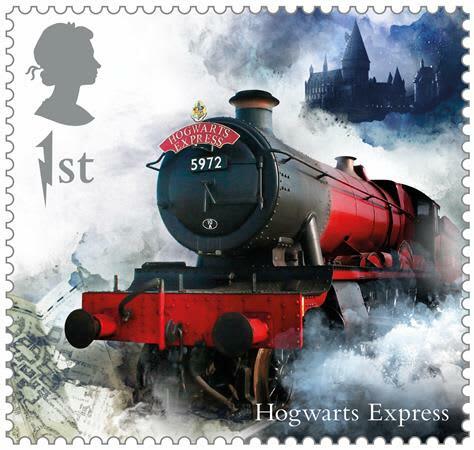 Royal Mail released a new collectible set of 15 stamps this month, celebrating the success of the Harry Potter film series! The set includes hidden details under ultraviolet light, as well as Wizarding World inspired backgrounds, and the ‘1st’ in the style of Harry’s lightning scar. 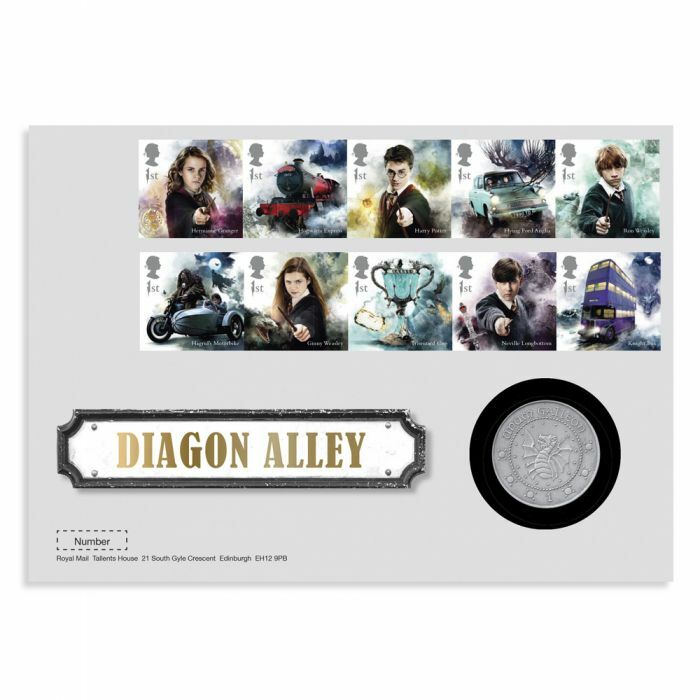 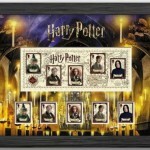 ‘Sirius’ collectors can now purchase a Limited Edition Diagon Alley or Hogwarts Medal Cover, both priced at £19.95. 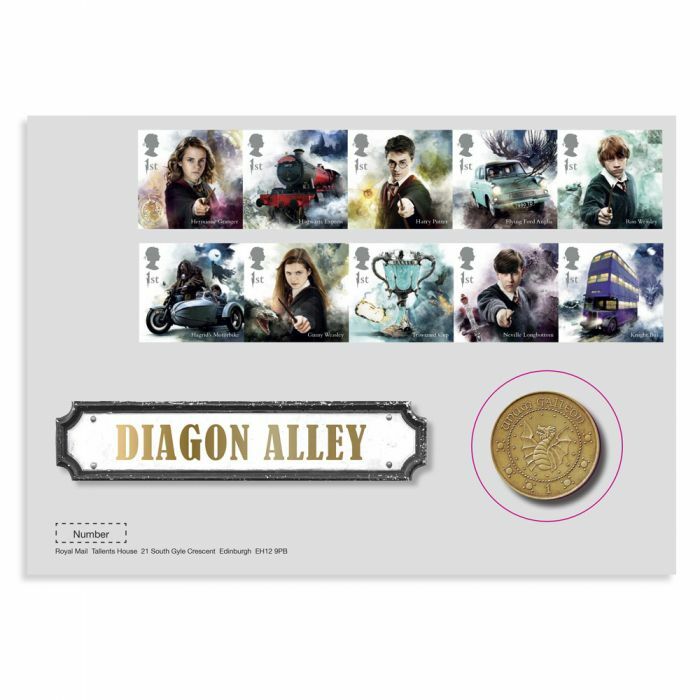 The collection contains a special silver proof medal from The Royal Mint, showing the Harry Potter logo on one side, and the Hogwarts crest on the other in the Hogwarts cover, and a Galleon on the Diagon Alley cover. 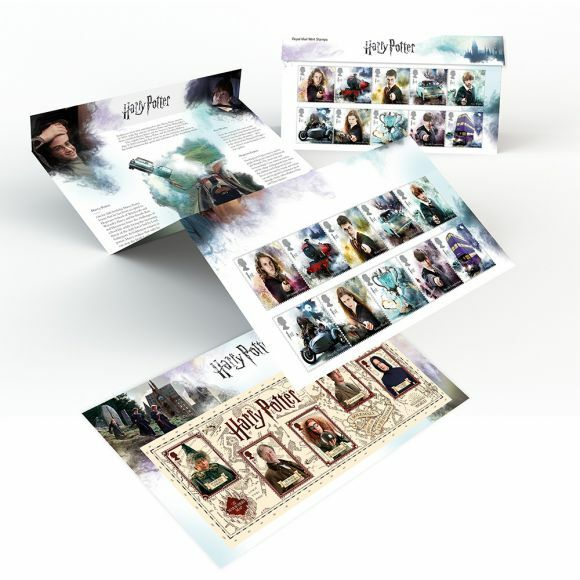 Only 15,000 of these have been printed, and each item is individually numbered. 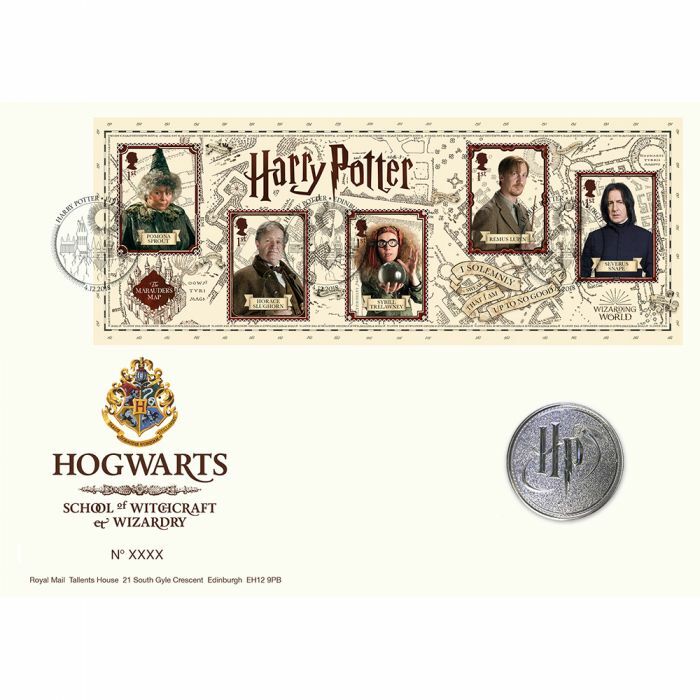 Also on offer as of December 4th are Limited Edition Silver Proof Diagon Alley or Hogwarts Medal Covers, both priced at £99.99. 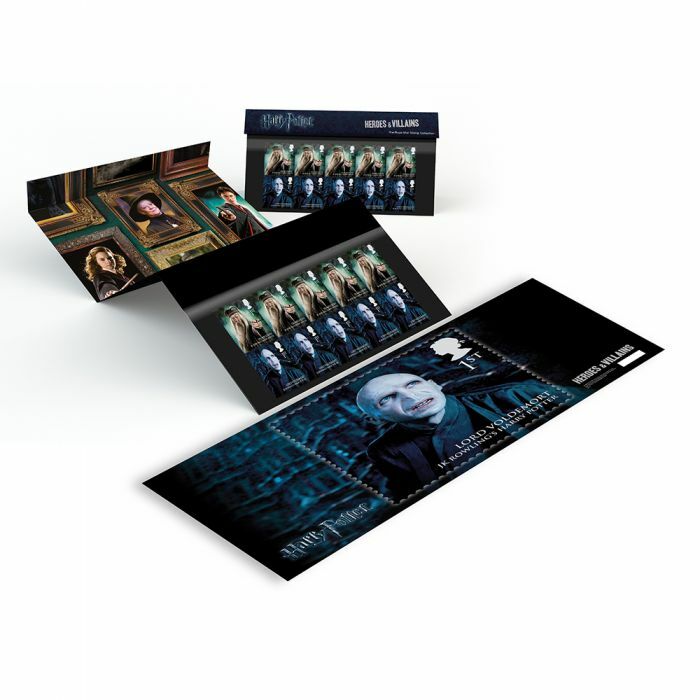 Only 1000 of these items exist (each are individually numbered), so get them quick! 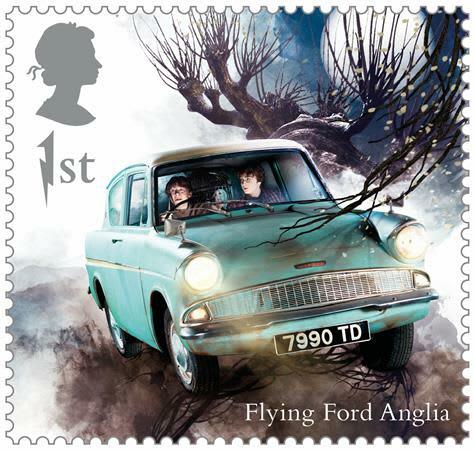 The stamps and limited edition collections are available at 7,000 post offices around the U.K., and on the Royal Mail website. 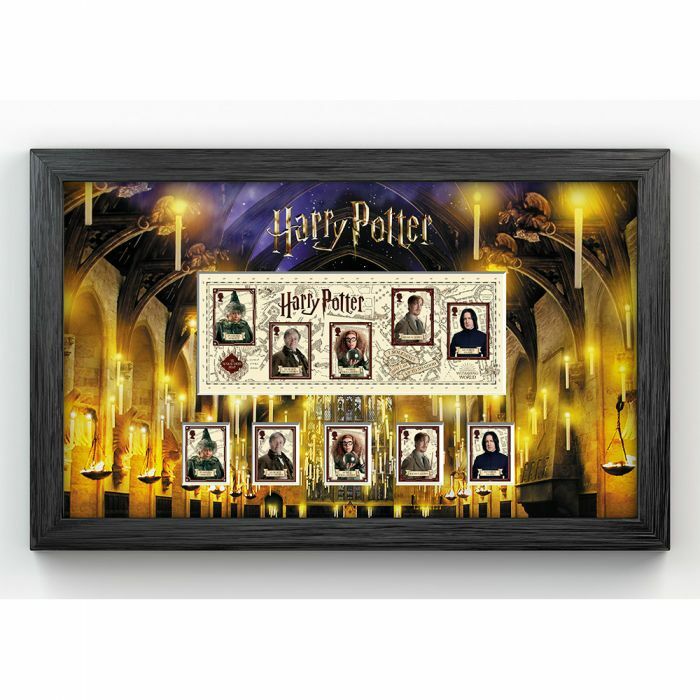 Happy collecting!